Together, we can make an impact for kids this November election. 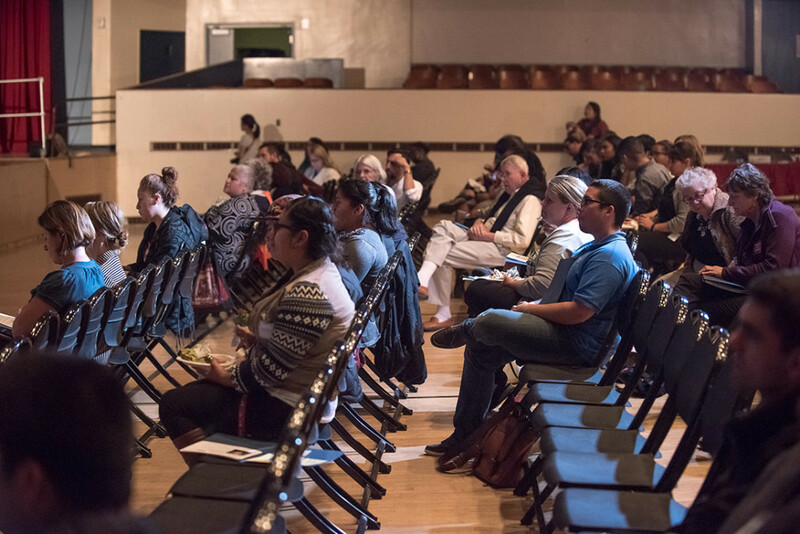 On Tuesday, October 4th, nearly 100 West Contra Costa community members joined us at #GOVoteWCC School Board Candidate Forum. Together, we shared the evening getting to know the seven individuals running for WCCUSD Board of Education this November 2016 election. We learned about their backgrounds, ideas, and positions through short speeches, and participated in facilitated small group Q&A sessions with candidates of our choice. Click here to view photos of #GOVoteWCC School Board Candidate Forum on Facebook! HAVE YOU READ THE 2016 CANDIDATE QUESTIONNAIRE YET? Click the links below to view GO WCC’s 2016 Candidate Questionnaire, in which you’ll hear from candidates through their short written responses to questions about leadership, community engagement, policy, and more. 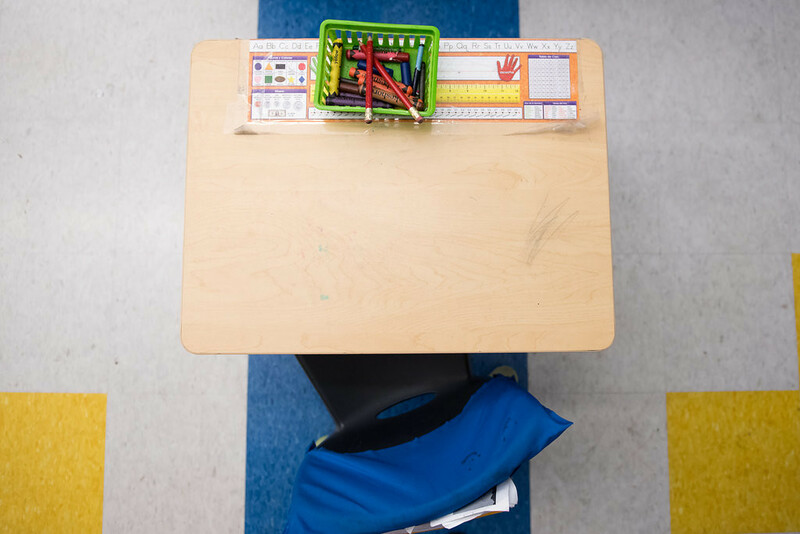 The 2016 Candidate Questionnaire is a tool meant to support West Contra Costa community members in casting well-informed votes for WCCUSD school board this November election. 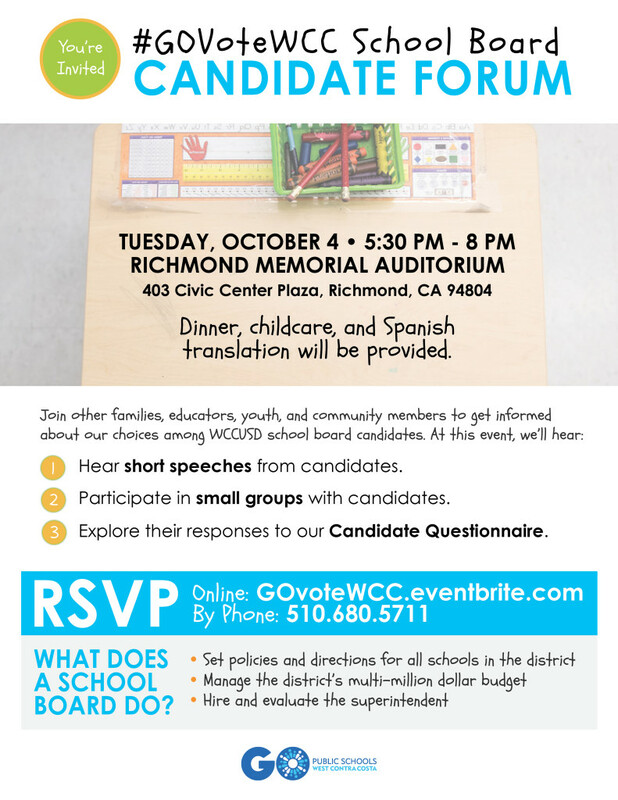 This tool is also part of the #GOVoteWCC School Board Candidate Forum coming up in less than a week — register now if you haven’t already! Why are you running for the West Contra Costa school board? How do you plan to gather community input when making important decisions? How would you support educators and school communities serving Latino students? What do you believe are the issues leading to the achievement gap in WCCUSD? How would you monitor and ensure successful implementation of policy? Specifically, this event provides the opportunity for families, educators, youth, and community members to hear short speeches from candidates and to participate in small groups with candidates. To support your engagement and dialogue, we’ll publish candidate responses to a written questionnaire before the event and provide hard copies on the day-of. Dinner, Spanish translation, and childcare will be provided. Together, we can prepare to cast well-informed votes this November and make an impact for our community’s 30,000+ young people.